Does the Souffle Rise Twice in Alice? at News Aboriginal Art Directory. View information about Does the Souffle Rise Twice in Alice? Does the Souffle Rise Twice in Alice? The Northern Territory Government insists that it is building The National Aboriginal Art Gallery in Alice Springs. 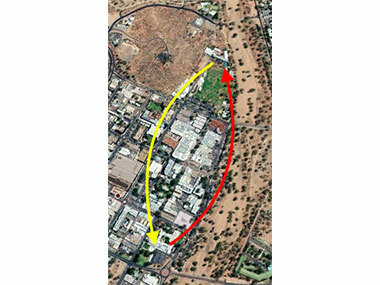 And to prove an advance on what had looked a process stalled when ten responsible Aboriginal Traditional Owners of the site the Government was insisting upon said “No go”, the NT Government and Alice Springs Town Council yesterday released a letter from Chief Minister Michael Gunner to Mayor Damien Ryan offering a land swap proposal that would see the Gallery built in the heart of the Alice Springs CBD. According to the NT Government, the Alice Springs Town Council supports in principle entering into discussions in relation to the proposed National Aboriginal Art Gallery in accordance with the Chief Minister’s letter, dated 15th March. The community including Traditional Owners will also be engaged and consulted as part of the ongoing discussions. 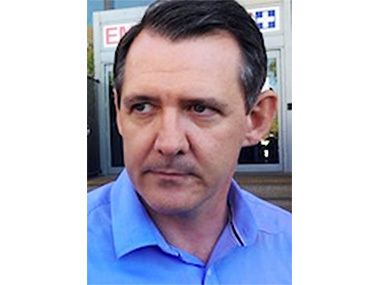 This development follows a statement in the NT Parliament on 20th March when Chief Minister Michael Gunner in Parliament proclaimed (without mentioning his confidential letter): “We will build it in Alice Springs. It will be magnificent. We are in a positive competition with South Australia. I formally met with Premier Marshall under our strategic relationships document. We agreed to have a good relationship between the two galleries we are building in order to direct traffic". “Importantly for us”, he continued, “not so good for Premier Marshall is the national recognition that Alice Springs is the natural place for this art gallery.” An outrageous piece of optimism, especially, as reported on AAD, the Federal Government has put $85 million into Adelaide's proposed Aboriginal Art and Cultures Gallery – which doesn't currently call itself “National”. Since ANZAC Hill has found so much disfavour as a site for the Gallery, the NT Government is proposing a land swap which gives all of ANZAC Hill to the Alice Town Council to become its new administrative centre and city library. In exchange, the current admin centre and library on Todd Street will become the Gallery site. It's just south of Todd Mall, seems to be surrounded by greenery currently and almost fronts on to the Todd Riverbed. ANZAC Oval – which the town's sportspeople feared losing under original proposals - will now be enhanced by the Government, and a water play park built. Does this double the cost of the Gallery? Will the town's TOs accept a town hall and library where they weren't happy with a Gallery? Will the Town Council buy the move, including all its sweeteners? The fact that they've agreed to the release of the letter suggests a little more than a willingness to talk. “The old school was entered on the National Trust’s Register of Significant Places on June 8, 1999. The Statement of Significance reads: “This place marks a significant milestone in the history and development of education in Alice Springs and the Northern Territory. 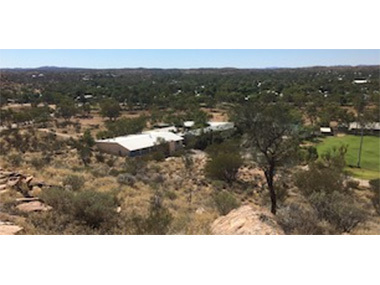 It was the first purpose built school for the education of secondary school students in Alice Springs and was a significant step-up in school design to meet the increasing needs of the community". The National Trust has started a petition to save the school buildings. 10.04.19 | An Indigenous Biennale? 02.04.19 | Does the Souffle Rise Twice in Alice?